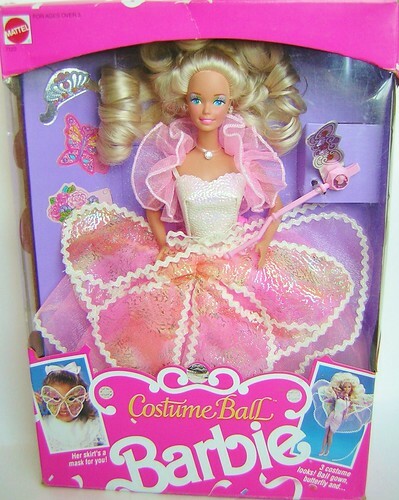 These 16 Barbie Dolls from the 90s Will Rekindle Your Nostalgia – Who Had a Gymnast Barbie? Before Bratz and Monster High, there was Barbie! She was the most popular toy in the world, with her iconic blonde hair and sparkling blue eyes. Barbie could be anything you wanted her to be, from a popstar to flight attendant to mermaid to doctor! She also came in a number of ethnicities, and had various friends and family members you could purchase to enhance the way you played with her. We’re going take a look at our favourite childhood playsets and spend a bit of time reminiscing about the joy this doll brought us! How many can you check off this list? Barbara Millicent Roberts arrived into the 90s in the most glamorous way possible, wearing a beautiful pink masquerade ballgown. The set came with 3 possible outfits, and a matching mask big enough for you to wear! Here are 15 facts you'll immediately recognise if you're a regular camper. The 12 Most Hilarious Texts from Technology Illiterate Parents – #8 is Goofy! From hilarious misunderstandings of abbreviations, to ridiculous auto-correct incidents, you're bound to receive some side bursting messages. Here are the most hilarious texts from technology illiterate parents.